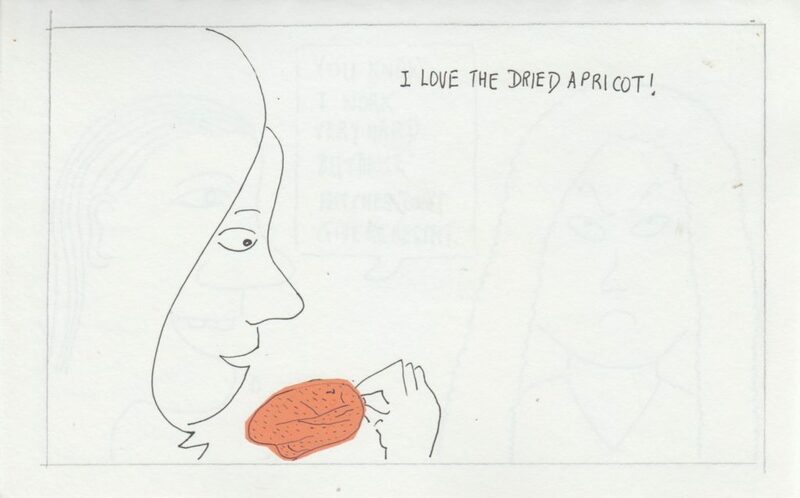 Mindful Doodles #498 – Apricot helps blood pressure? I read online that eating dried apricot is good for you. It supposedly contains goodness that may help to reduce high blood pressure. I can’t vouch for this because many foods are good for your body and we can be eating other foods that are also helping. Eating apricot supposedly helps your blood pressure. The apricot looks crumpled because it is in the dried form.